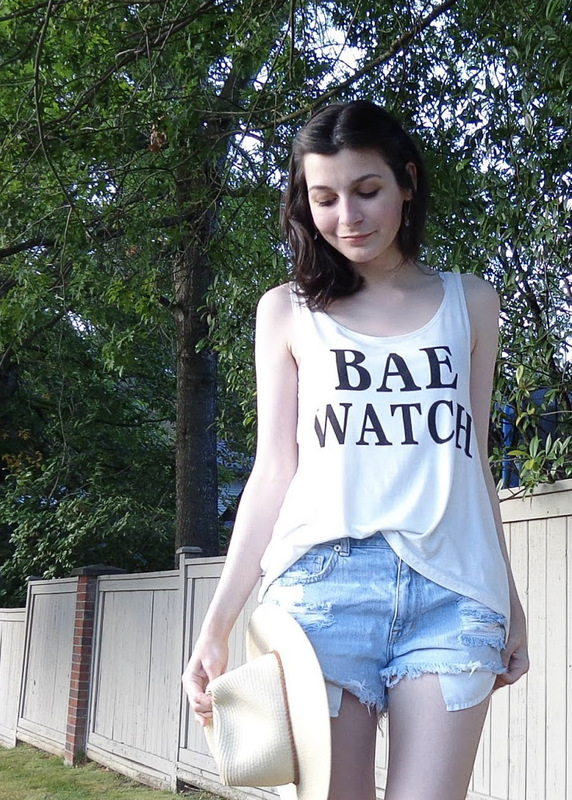 The first days of Autumn are upon us, but I couldn't let Summer slip past without one more outfit post. As excited as I am for Fall, I'm going to miss the easy days of just throwing on a pair of denim shorts. I'm a lazy girl at heart, so denim shorts are pretty much my Summer wardrobe (besides comfy dresses, of course). I've had these distressed festival shorts forever, and they're still holding up well. I just picked this tank up, however, at local shop Montrose & George. Top it off with a straw hat, and voila! Easy Summer style, minimal effort. 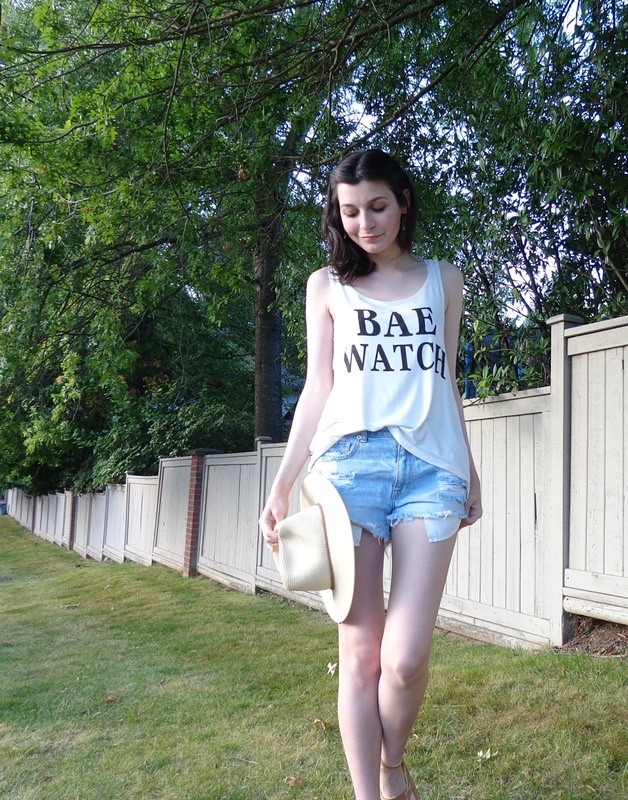 Top - Triumph./ Shorts - American Eagle Outfitters./ Sandals - American Eagle Outfitters./ Hat - Call It Spring.